The Mumbai Science Teachers Association has declared the result of Final (Interview) Round of “Homi Bhabha Balvaidyanik Competition”. As per the declared results, 3 classroom students of class 9th from Resonance Nashik study center have grabbed 2 Silver & 1 Bronze Medal. Details of crowned students are as under : SHUBHAM NILESH PUNIWALA & YOGESHWARI KANT PRASAD have won Silver Medal & SHREYANS SHRIPAL LUNAWAT has won Bronze Medal. The Managing Director Mr. R.K. Verma informed that the Interview (Viva) round was held on 17th February 2019 in Social Service League high School, Parel. The main objective of this exam is to inculcate scientific attitude and to search science talent in students and motivate them towards basic sciences as well as to clear the scientific concepts among students. Only class 6th & 9th students are eligible for this exam. Stage-1 : It is a written test of 90 minutes duration, based on science & G. K. Top 7.5% students are selected for stage-2. Stage–2 : It is a practical based exam of 30 minutes. 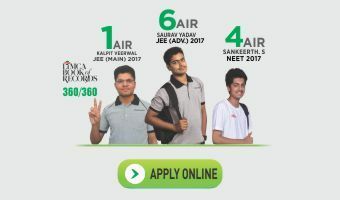 Top 10% students are selected for stage-3. Stage-3 : It is an interview round which consists 30% marks of stage-1, stage-2 & stage-3. Top 10% students will get Gold Medals, certificates and scholarships of Rs. 3000/-. Next 60% candidates will get Silver Medals, certificates and scholarships of Rs. 2000/-. Remaining candidates will get Bronze Medals, certificates and scholarships of Rs. 1000/-. Resonance congratulates the selected students and gives best wishes to them for their future. Resonance provides assistance for the preparation of these kind of competitive exams through various workshops & study material. Admissions are open for the session 2019-20.